Recently, we reported how a Google employee took to Twitter and tipped the name of Android O as “Android Oreo.” Now, giving fuel to the fire, Oreo has come up with an online mobile game dubbed as “Oreo Dunk Challenge.” The game allows players to sling their Oreo cookie to dunk it in a milk glass, which could be placed anywhere in the world. To simplify, it is just a virtual version of dunking Oreo cookies in a glass of milk with a little twist. Mostly, we can call this game a marketing campaign by the Oreo maker – Mondelez International. The game has a lot to do with Google as reports spill that the Mountain View company has been involved in the making of the game right from scratch. The game’s mobile web page also has a familiar phrase that most of the collaborators use for Google’s involvement in the project – “Created with our friends at Google.” as you can see in the image below. The game can only be played, as there is no dedicated app for it yet. As soon as you open the game on your phone’s browser (click on this link to open the game), it asks you to upload an image of real Oreo, which can be easily manipulated by uploading an Oreo picture lifted from the internet. The first step could be to ensure if you are a regular Oreo buyer. After uploading the photo, it asks for your location to “launch site,” after finishing the second step you are ready to play the game. To play the game, you have to swing your phone in a throwing motion and then wait to see where it lands in the game. Pretty much like motion sensor gaming, the website makes use of sensors on your phone and then records the power of your virtual dunk to land the cookie in a glass of milk. 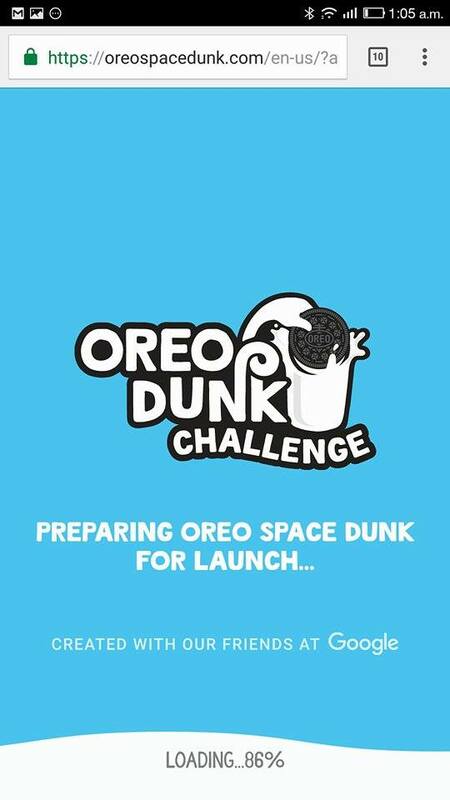 Oreo Dunk Challenge is mainly the work of 360i marketing agency. But, Google’s own agency The Zoo, Carat, and Jam3 has also been associated with many tasks. 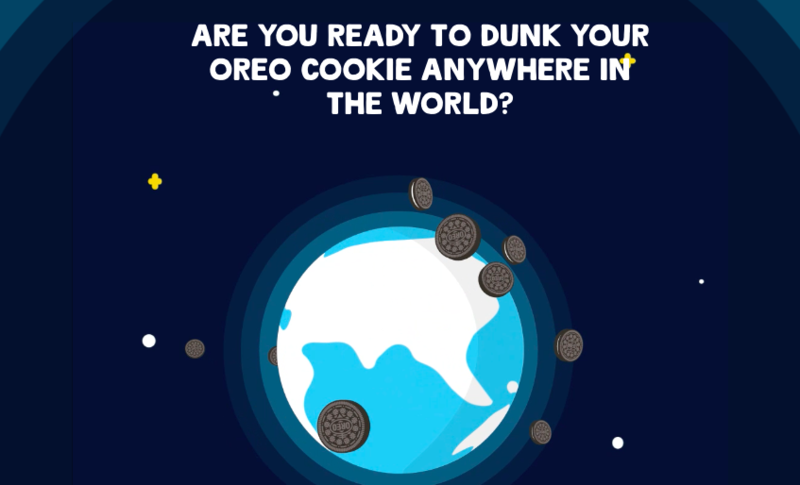 Google’s involvement can also be assessed by the presence of Google Earth imagery on the game that is used to show the Oreo fling around the world. Google’s budding relationship with Oreo to this extent makes it clear that the upcoming Android 8.0 version would be named as Android Oreo. It looks like Google is collaborating in the marketing exercise with the Oreo makers to later use the name of the cookie for its Android version. Well, if Android 8.0 indeed turns out to be Android Oreo then it won’t be a surprise for sure.